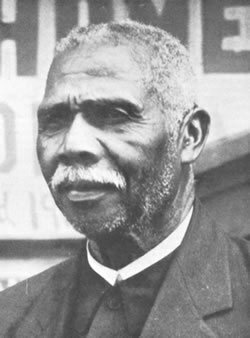 The Reverend Daniel Joseph Jenkins was born a slave in Barnwell County in April of 1862. Later in life, he moved to Charleston, where he went into business selling wood. On his way to work one morning, Jenkins discovered four young boys huddled together in a freight car for warmth. 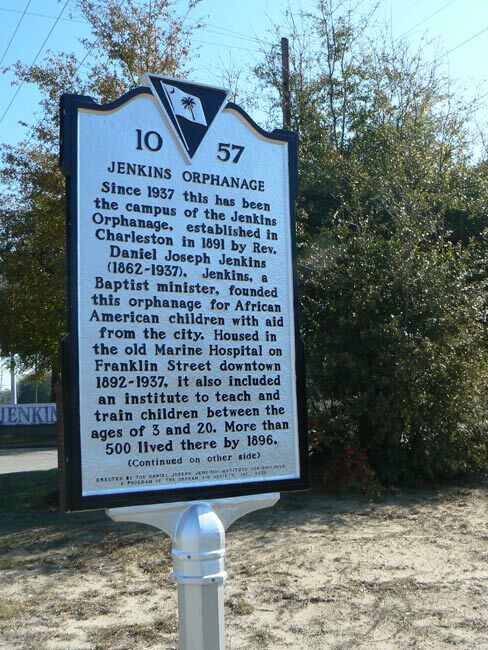 He realized that the community was in need of an orphanage, and on December 16, 1891, he founded Jenkins Orphanage. Now called the Daniel Joseph Jenkins Institute for Children, the home has been a refuge for neglected children of the Lowcountry for over 120 years. This page shares photos, a video, and much of the orphanage’s history, but to learn more, we recommend you also read our complete story, Orphanage Band Instrumental in Jenkins’ Past and Future. The orphanage was chartered in July 1892 by the State of South Carolina; its mission was to create a safe haven for African-American children in need. 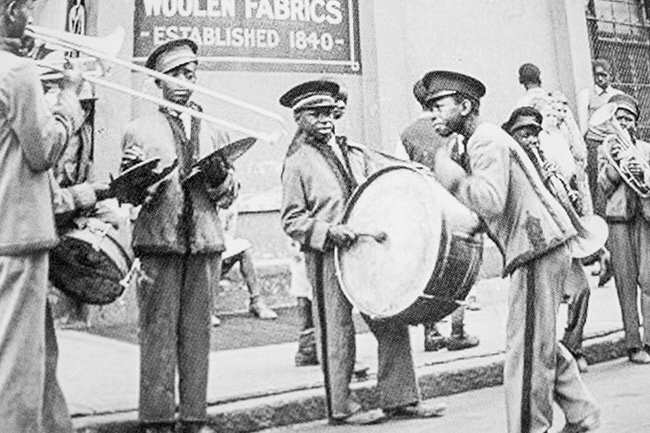 Despite the state’s official blessing, the orphanage did not receive adequate financial support, so its founder, Reverend Jenkins, established the Jenkins Orphanage Band in order to raise funds. The band, sometimes called “The Famous Piccaniany Band,” gained national recognition by performing in cities throughout the Northeast, Midwest, and South. They marched in the inaugural parades for Presidents Roosevelt and Taft, and they played on Broadway for Porgy and Bess. By 1914, the band had become so popular they were given free passage and new uniforms to perform at the Anglo-American Exposition in England. The Old Marine Hospital served as one of Jenkins Orphanage’s early homes. 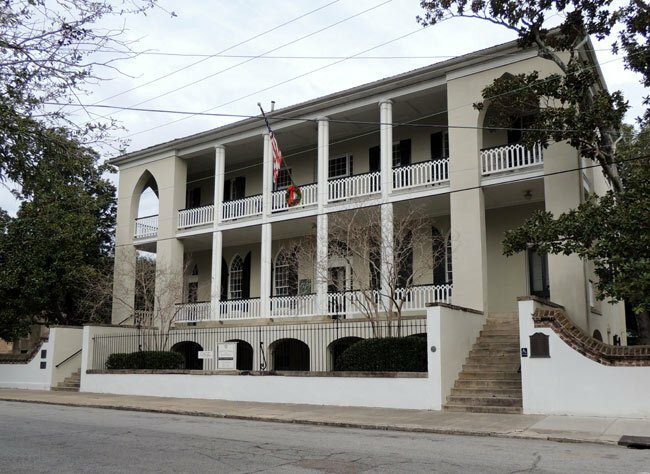 Located at 20 Franklin Street beside the old county jail, it was designed by nationally-renowned architect Robert Mills, a South Carolina native. Constructed in 1833, the building’s original purpose was for the care of sick and disabled seamen. After the Civil War, it became a school for African-American children, and from 1895 to 1937 it was the home of Jenkins Orphanage. 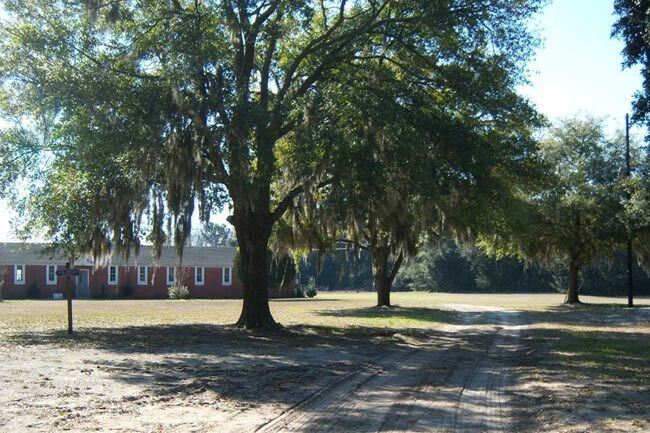 A fire in 1937 severely damaged the building, and the orphanage moved to its current location along the Ashley River. By the 1930s, Social Security began providing assistance to families who needed financial help to care for children. This resulted in a dramatic decrease of abandoned children in America, greatly reducing the need for orphanages. In time, the orphanage was renamed Daniel Joseph Jenkins Institute for Children. While in the past the institute has housed children of both sexes, presently it serves as a refuge for girls between the ages of 11 and 21. The dorm can accommodate up to 19 children. Each room has a television and a computer and is semi-private. All the children live in this building and are supervised 24 hours a day by a staff of 10, which includes care specialists and counselors. At 16, each child has the option to “age out,” meaning that they stay at Jenkins until they are 21. If a child decides to stay, she must pursue a higher-education degree. More typically, girls stay at the institute for one school year, and then return to their families. The campus includes an administration building, a training facility, a dormitory, a storage warehouse, and even a pavilion. Jenkins Institute receives support from local churches and mentoring organizations, helping expose the children to many different experiences and broaden their horizons. In addition to state funds, the institute is sustained through private donations and grants. Jenkins hopes to bring in additional funding by becoming a stop for historical tours in the area. When we visited the campus and met with administrators, they shared their plans to build a museum which showcases the impact of the Jenkins Orphanage Band on the history of American Jazz. They are also considering growing sweet grass on their many acres of wetlands, planting locally-renowned Noisette roses, and designing a hedge labyrinth, which would provide a nice atmosphere for picnics. 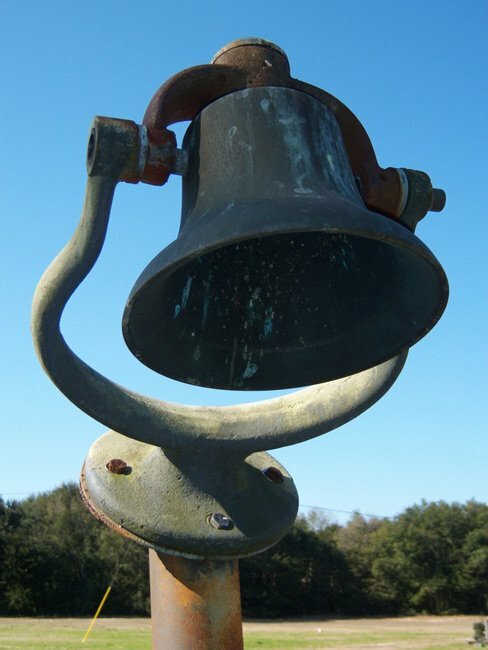 This bell was used to tell residents and employees of the Jenkins Orphanage it was time to gather together. Unfortunately, there was a major fire at Jenkins in the late 1980s which destroyed the administration building and several dorms. However, the bell was found in the ashes and lovingly restored. Because of its resilience, it was nicknamed the “Bell of Hope.” Today it stands near the new administration building, a reminder of the institution’s long and interesting history. These markers are located just outside the Jenkins’ campus on Azalea Drive. They briefly recount the history of this important place. 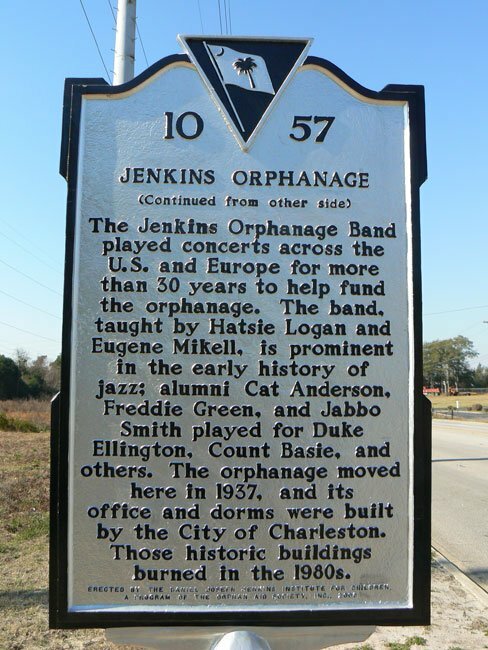 For more detailed information about Jenkins Orphanage, please read our article: Orphanage Band Instrumental in Jenkins’ Past and Future. Hello Ann, wonderful to hear that you and your husband are interested in volunteering. We are not the official page for Jenkins but their phone number is (843) 744-1771. Thanks so much! I am a registered nurse and my husband is a finance advisor, We are interested in volunteering at Jenkins. Please feel free to contact me at the above email. We would especially be interested in tutoring kids to assist with their education and offer them financial education on basic household finances. Additionally, I oil paint and would love to share the world of art with your children. If you have any questions regarding Jenkins Institute for Children you can contact icmilton@jenkinsinstituteforchildren.org or grivers@jenkinsinstituteforchildren.org the telephone number to the office is 843 744-1771. Hello Kimberly, what a great program you are inquiring about, we sure hope they are having that this year again! We are not directly affiliated with Jenkins Orphanage but we did find their phone number, here it is: (843)-744-1771. Hope this helps! Will you have an angel tree for the girls this year at Christmas time? Hello Angela, we would not be able to assist with any type of adoption process. You would need to contact Jenkins directly and inquire about the steps needed to pursue this. Their contact information can be found here: http://www.jenkinsinstitute.org/index.php/contact-us. Hope this helps! Hello, my name Angela Harps and I support and love Jenkins. I grew up there and one day I want to get a child from there to support and love. How do I go about it? It would be a lovely thing thing to do. The link to Jenkins is on the page beneath the text. Hopefully, the website will give you some contacts. Best of luck! We are really interested in planning a field trip to visit Jenkins Orphanage as soon as possible with about 17 pre-k students and 2 staff members, namely the director of our establishment. Who do we need to contact to plan this and to make it happen? What can we also bring as donations? Thanks for following up on this!!! My mother played in the Jenkins Orphanage Band as teenage girl. She lived in the original building for 5 years with her older sister and younger brother. She left the orphange in 1935. I would like to contact others whose parent or grandparent played in the band between 1930 and 1935. Also, where are the records of children who were there during those years are kept now? Thank you. Why? My place of bussiness is collecting Pajamas for Orphans. I always like to understand that the support is, "for the good of those who truely need," and that it gets to those of whom it is intended to suppliment. I am 26 years old, and was placed in the state system after the death of both parents. The first three years spent being severely abused mentally and spiritually. Then I went through what I now call the group home shuffle. I lived at Joseph Jenkins for over a year, and finally decided to run away.. .because as usual my case manager never paid attention when I told her a place was bad. This place had a great reputation in the community, but under false pretenses. Sad to say that they have lost the heart and corrupted the vision of Mr. Jenkins; blatantly mishandling funds and donations, and scarred me emotionally for life. It wasn’t until I found grace to forgive in my walk with Jesus Christ that I was liberated from resentments, trauma, and heartache at the hands of this place and others like it. The SC system is awful for the kids.. though I am sure someone somewhere has great intentions. They are obviously not looking beneath the pretty surface to see the ugly insides of this system. It’s been several years into my adult life and I literally just got a handle on things because no one ever reached out to show care, nor was there any training on how to function in the real world. We kids were cattle, a meal ticket, and an inconvenience at best. I pray for the strength, wisdom, and integrity to do something about it– and God’s favor in such endeavors. Your best bet if you’re seeking to be ‘generous’ and ‘selfless,’ ADOPT a child in need. Love them, treat them as your own, and introduce them to JESUS. Anything less than this is a futile waste in this corrupted state system. Good luck, and God bless. Hi, Terry. That is very generous of you! The website for the institute is listed above the map on this page. Hopefully, someone there can direct you to the right person. Good luck! I have a bunch of board games I would like to drop off. How do I drop them off? That is so nice of you Nadine. I am sure the residence would benefit from your donations. I am not an employee, however I can give you some information. I am a descendant of Rev. Jenkins’ kindness. My grandfather is one of the boys in the band that you see in many pictures. So you can see why I have an invested interest. I am sure if you call or go over to Daniel Jenkins located on Azalea Dr. Someone would be more that happy to accept your donation. Thank you for your inquiry, Nadine. A website for the Jenkins Institute is listed at the bottom of the page. Hopefully, someone there will be able to guide you in regards to your donations. Have a wonderful day! I have clothes, shoes, books and toys to donate. How can I do so? Please tell me how I can donate items to the children in these circumstances. I’m sorry, we are not affiliated with the Jenkins Orphanage. However, there is a website posted above, which may help you. Best of luck! Do you guys keep a record of every kid that was a resident of your facility? Please respond as soon as possible thank you and god bless. I am an orphan at the following institute and its NOTHING like what it percieves to be, we barely eat, we have infestations of spiders and ants, there aren’t any computers nor TVs in any rooms, we barely get out the house, they make sure we do our chores but don’t make sure we eat. We don’t have any counselors, there is only at max 2 staff members on duty at a time. It’s horrible, and I think I can speak for myself and all the other girls in the house. My father played with the Jenkins Orphanage band, and my mother’s family are Jenkins. My late husband was a musician and also played with a variety of great musicians; he played for Broadway shows and taught at a very prominent private school for musicians in Connecticut. If you would be interested in re-establishing the band, I would be interested in getting it developed and touring again. I’m researching the biography of trombonist Trummy Young. He reports that his first jazz influence was the Jenkins Orphanage Band, though he didn’t begin to play until he attended St. Emma School in Virginia. Later he played with Earl Hines, Louis Armstrong, and other great bands. Just thought you’d like to know. Thanks for the website. support for their welfare, visit the facility, as well as make a monetary contribution. How generous of you, Kim! Here is the link to the Jenkins website: http://www.jenkinsinstitute.org/. Hopefully someone there can answer your question. I am looking to donate some used clothes, toys, dolls, etc. Can I do that here? Retired RN would be available for donating time. My father was born in 1905. He was raised in the Jenkins Orphanage, but I cannot find any information on him because a fire destroyed all of the records. His name was William L. Brown. I was excited to be able to read about and listen to the band that I heard so much about. I was told that my uncle played in the band.